Articulated Front Trigger---held in the normal position by a small spring. 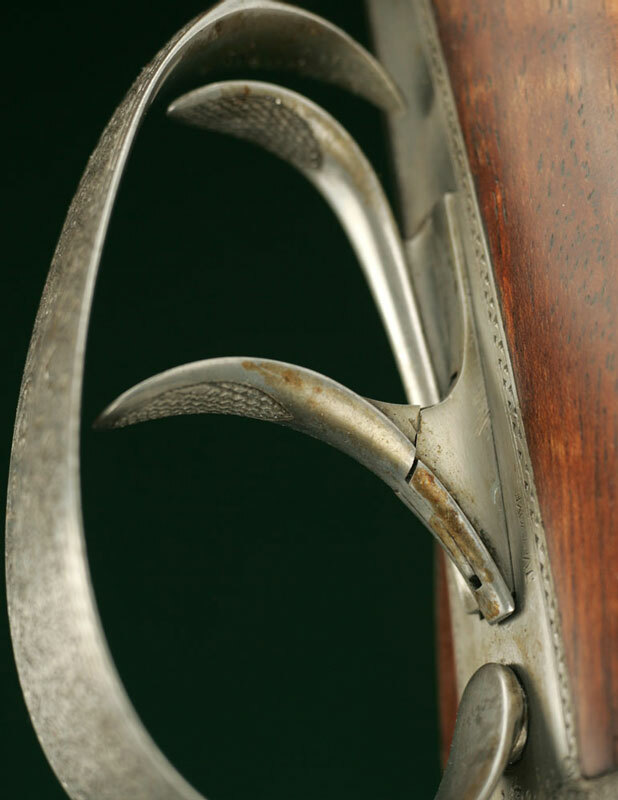 Articulated Front Trigger---hinged forward, as though absorbing the impact against one's finger on the rear trigger. Articulated Front Trigger - A hinged front trigger, built to cushion its impact on one's trigger finger as the gun recoils when the rear trigger is pulled. 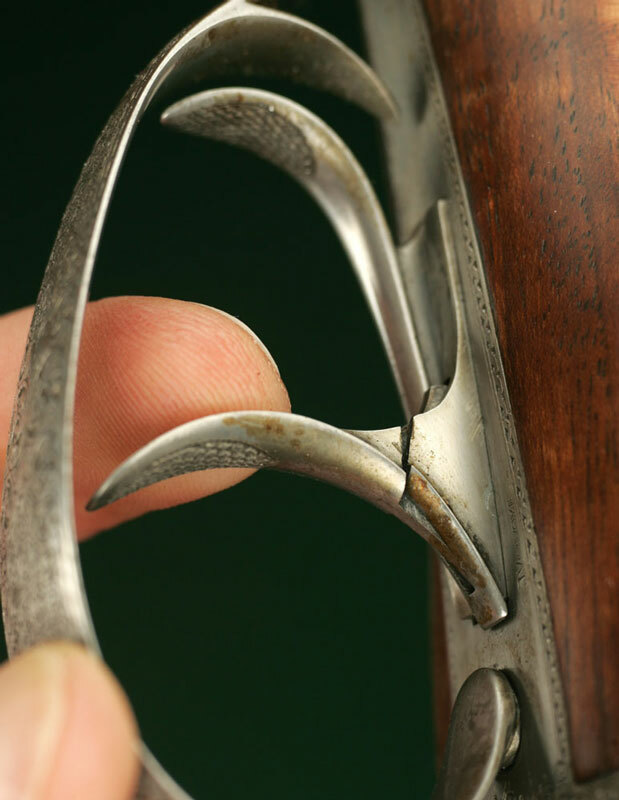 Often seen on European shotguns; rarely on English guns.